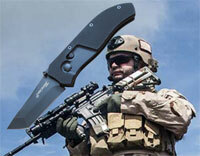 FirstEdge Knives for sale are American made and built to withstand military operations and tactical use. Buy these functional knives that have ELMAX steel and are designed in conjunction with the US Special Forces for military use. 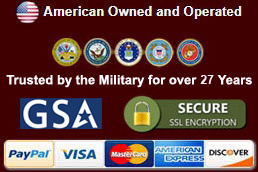 FirstEdge TrackLock Folder Knife for sale is proudly made in the USA and was designed with US Naval Special Forces to create a knife intended for military and outdoor functional use. These knives are used by the NSW, SEALs and other special forces. 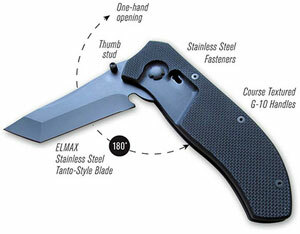 The TrackLock is 5.125 inches closed with a 3 inch long, 0.132 inch thick ELMAX stainless steel blade. ELMAX is a superior stainless steel that features extremely high wear and corrosion resistance as well as features high compressive strength. The knife is 7.3 inches long in the open position. 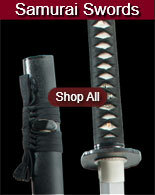 The tanto style blade is hardened to 60-61 HRC and features a black oxide finish. 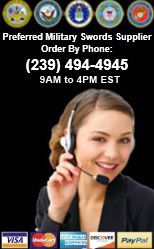 The liners, pocket clip and fasteners also feature the black oxide finish. They have a thumb stud for single hand opening and a thumb release for a single hand close. This TrackLock folding mechanism permits quick one hand opening and closing. These knives feature black G10 textured handles which makes the handle material hard, lightweight, strong and almost impervious to moisture. They also have a stainless steel pocket clip and 440A stainless steel liners with 58-59 HRC. 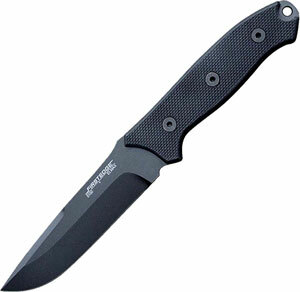 Buy these FirstEdge 1250 TrackLock Folding Knives for $124.99. FirstEdge 5150 Fixed Blade Field Knife for sale is proudly made in the USA and was designed and built in partnership with the US Special Forces. The popular full tang fixed blade 5150 knife is 11 inches in all. 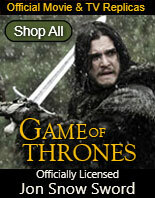 They have a 6 inch long blade that is 0.210 inches thick with a 60-61 HRC. The blade and fasteners have a black oxide finish. They feature high wear and highly corrosion resistant ELMAX steel with coarse textured G10 handles. They have a flat grind bevel and a functional lanyard hole. The Kydex Tri-Composite Sheath is fastened together with hard coated stainless steel hex fasteners and may be disassembled for cleaning. The sheath has compartments and drain holes intended to limit sand grit and decrease moisture absorbance. The sheath features precision formed Kydex panels on the outer layer with hardened stainless steel liners. The 3 inch, US made nylon webbing permits a higher or lower carry depending upon user preference. 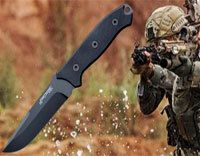 Buy the American made 5150 Fixed Blade Elite Field Knife by FirstEdge for $199.99. FirstEdge 5050 Fixed Blade Survival Knife is proudly made in the USA and was designed and built in partnership with the US Special Forces. 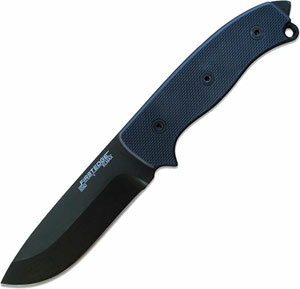 The popular full tang fixed blade 5050 knife is 11.25 inches in all. 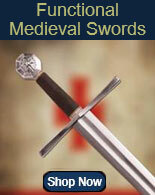 They have a 5.125 inch long blade that is 0.235 inches thick with a 60-61 HRC. The blade and fasteners have a black oxide finish. They feature high wear and highly corrosion resistant ELMAX steel with coarse textured G10 handles. They have a flat grind bevel and a functional lanyard hole. The Kydex Tri-Composite Sheath is fastened together with hard coated stainless steel hex fasteners and may be disassembled for cleaning. The sheath has compartments and drain holes intended to limit sand grit and decrease moisture absorbance. The sheath features precision formed Kydex panels on the outer layer with hardened stainless steel liners. The 3 inch, US made nylon webbing permits a higher or lower carry depending upon user preference. 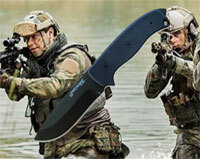 Buy the American made 5050 Fixed Blade Survival Knife for $224.99.